Olav Beddari lived in Skogfoss, was a schoolteacher, a local historian and writer of several books. One of his lifelong projects was for the region of Pasvik to regain its connection to Finland. Olav has lived his life by a changing border. His neighbor Finland became Russia after the war, and he has personally felt the consequences of a changing political climate. He is of Finnish and Sámi decent, and a child he spoke only Finnish. When he started school, he had no other option but to learn Norwegian, as the Norwegian government did not want any other languages or cultural identities to prevail in the area. He is a Norwegian, but will never forget his Finish background. When Olav grew up, the country on the other side of the border river Pasvikelva was Finland, and his friends and relatives lived just across the river. The river was a way of travelling and not a barrier. He could cross the river to visit friends and family whenever he wanted, and his wife was also Finnish. After WWII this changed radically, as the Russians took over the territory of Petsamo. Now the borders were closed, the Finnish residents deported further south in Finland. 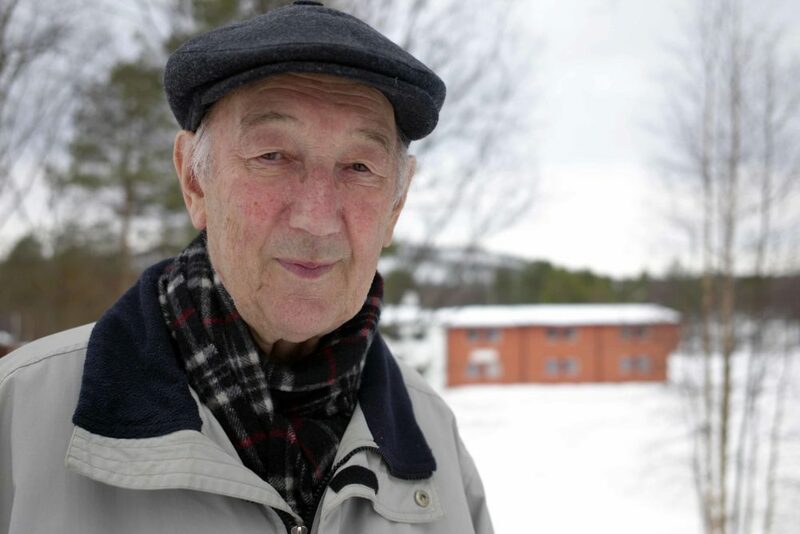 As a consequence of the cold war, his Finnish connections and a refused request by a Russian colonel to his father to “report suspicious behavior”, he was surveilled by Norwegian authorities for a long period of his life. He had problems getting a job, and the revelation of the surveillance came as a shock. He was surveilled for at least 20 years, but was later given a small monetary compensation for the surveillance. He has also been given an honorable medal by the Norwegian government for long service as a teacher for Norwegian kids in Pasvik. In 2002 Olav requested to see the files that were kept by the Secret Police, and was chocked. His long term visits to relatives as early as in 1945, had been interpreted by the secret police as a proof that he had been in Soviet to receive training as a Russian agent. It was also concluded that his training as a teacher was probably sponsored by the soviets. As long as he lived, he deplored the loss of the contact with Finland, and believed that the small settlements in the Pasvik valley are suffering from the lack of contact, transport and trade. Therefore he still fights for a road through the wilderness, to connect with the old neighbor Finland further up the valley. He thought this could bring new life and vitality to the dying area. Watch a movie about him!